Earn $11.99 in Rewards credit (1199 points) What's This? 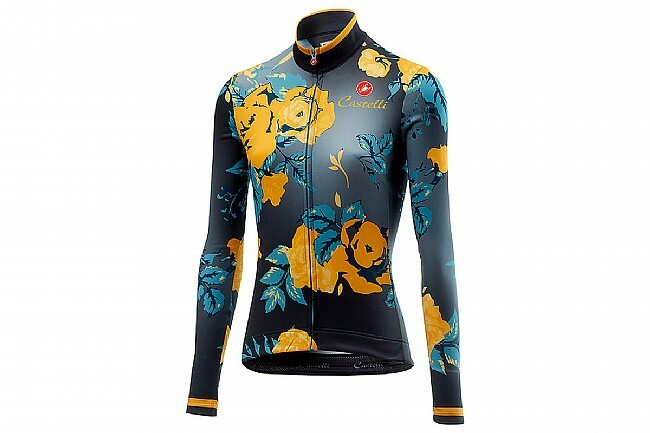 With its moderately insulated Warmer fabric, Castelli's Women's Scambio Jersey is ideal for cool fall days. The fabric is brushed on the inside for a soft, cozy interior, yet remains highly breathable. The tall collar features asymmetrical construction to protect the neck from the zipper. 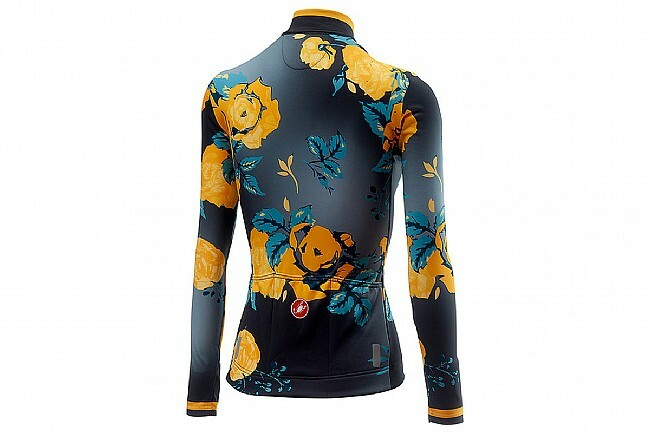 The sleeves are long enough to completely cover the arms even when stretched out in the riding position. Lightweight YKK® Vislon® easy-sliding zipper. Rear reflective viz strips for low-light visibility. Purchased this in bluepink after seeing it on my friend in greyyellow. The material is nice-not too thick or heavy but warm and breathable. 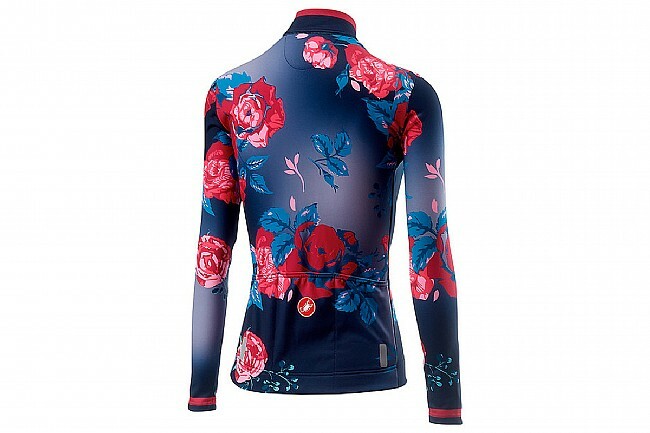 I wore a thin smart wool shirt underneath with a wind jacket and was plenty warm on a 45 degree morning ride. Sleeves are a little long on me (I'm 5'5, 135 lbs) but overall a nice fit and flattering. Elastic band around bottom keeps jersey in place. Great purchase! comfortable, warm, functional, and its pretty. allows for layering and still fits the form. have restricted use range to hi 40's to hi 50's just because I don't want to put a vest over the top of it. road ride two-three hours matched with my castelli knickers and I just feel good in this beautiful late fall weather.